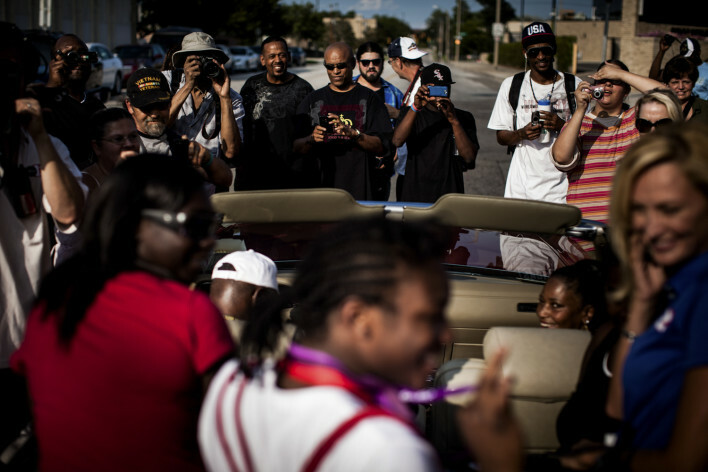 Claressa “T-Rex” Shields surrounded by fans and media at the Back to the Bricks Festival in Flint, Michigan, 3 days after winning the Gold Medal in Women’s Boxing at the 2012 Olympics. © Copyright 2015 ZCDC, LLC. Find out when T-Rex the Film is in a city near you. © Copyright 2015 ZCDC, LLC. Contact us.